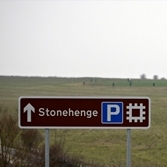 LONDON, 2015-4-13 — /Travel PR News/ — CPT has today (13 April) welcomed the news that English Heritage is proposing to increase the number of coach parking spaces available at Stonehenge, whilst also making improvements to the main facilities available to group tours. The plans, which will see the introduction of an additional 26 coach parking spaces (currently 30) and also a newly created pedestrian route, are to be put before local councillors this Thursday at the Southern Area Planning Committee meeting. Commenting on the proposal, CPT’s Coaching Manager, Andy Warrender said: “Each year Wiltshire welcomes over 1 million visitors from around the globe to Stonehenge, one of the most famous sites in the world. “With approximately 60% of these visitors arriving by coach or as part of a group, it is vitally important that the attraction continues to review its access and parking facilities in order to meet levels of demand. The Confederation of Passenger Transport UK (CPT) is the national trade association representing bus and coach operators. English Heritage cares for over 400 historic buildings, monuments and sites – from world-famous prehistoric sites to grand medieval castles, from Roman forts on the edges of the empire to a Cold War bunker. For comment, please contact Christopher Nice or Pauline Gaunt on 020 7240 3131 or 07798 765473. This entry was posted in Transportation, Travel, Travel Management, Travel Services, Travelers and tagged Andy Warrender, at Stonehenge, coach parking spaces at Stonehenge, Confederation of Passenger Transport UK, English Heritage. Bookmark the permalink.